When you have children they say you have to have eyes in the back of your head. Having said that, when you have a baby you don’t ACTUALLY grow eyes in the back of you head. This is why I am so surprised at some of the judgmental comments surrounding the tragic incident with Harambe the Gorilla at Cincinnati Zoo. Don’t get me wrong, I am devastated at what has happened to such a beautiful animal. 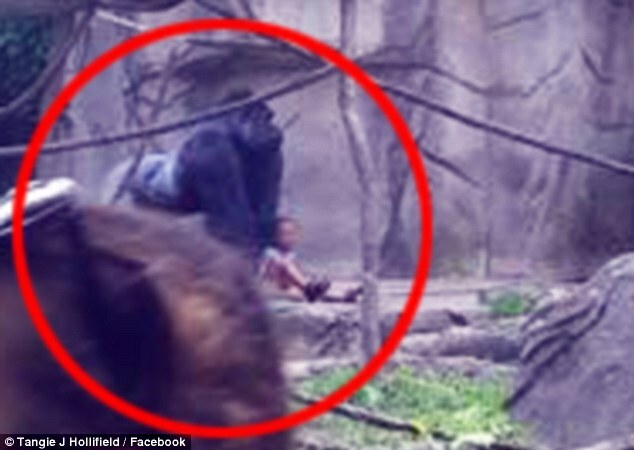 An animal that was clearly using his natural instincts to protect a baby from harm. But how could anyone be certain the atmosphere in the enclosure wouldn’t change at any instant. 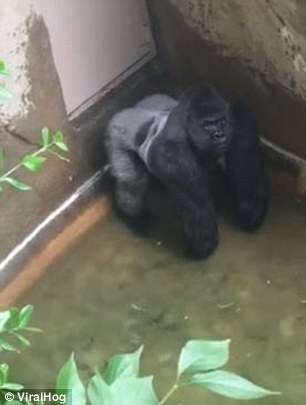 I feel that the zoo had no choice but to take the action they did. Every parent is guilty of turning their back for a second. Another child takes your attention or you turn to check something and in the blink of an eye the unthinkable happens. 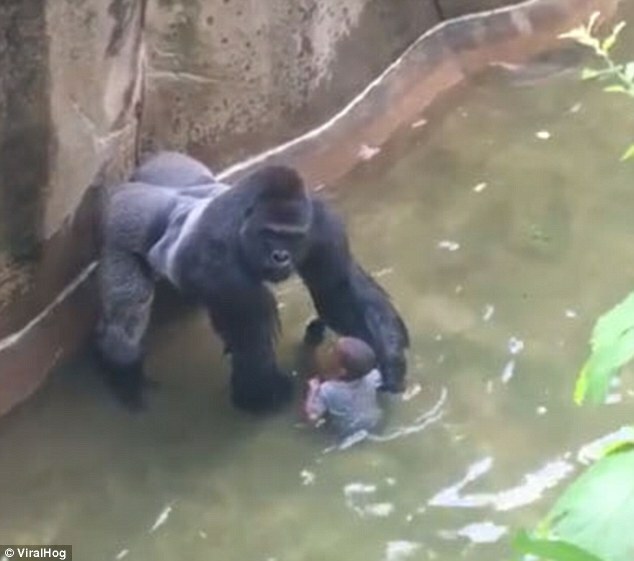 Everyone is quick to judge the parents and blame them for the death of Harambe but if we are honest, it could of happened to any parent. I like to think my five year old daughter would listen to what I say and I could trust her to not disobey me but that would be massively naive of me. But I have still had that heart stopping moment where I can’t find one of them, and in that split second every God awful sincereo goes through your mind. 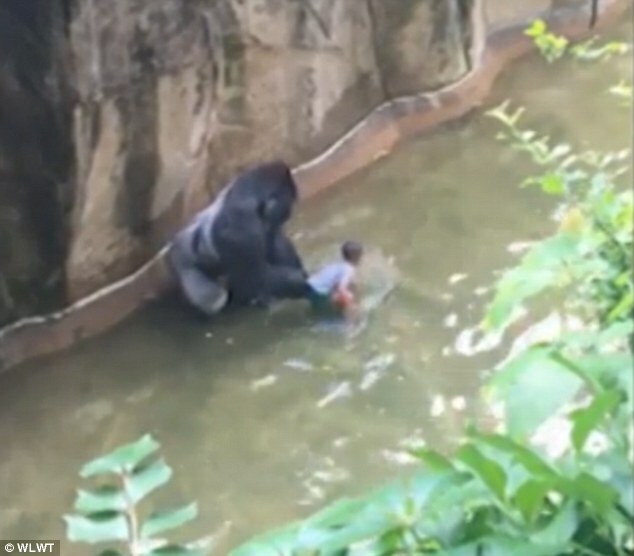 What I would like to know is how a five year old managed to climb into a Gorilla enclosure in the first place? There are alot of questions that need answering surrounding this awful event and I’ll wait to see what the official investigation says about it. Whatever the answer, it doesn’t change the outcome. A glorious creature was distroyed and human was responsible. I love visiting the zoo, which makes me a massive hippocrite when I say I also feel like this incident may throw light on the debate of whether we should even have zoos. Aw, this was such a beautiful post. I felt such outrage (I’m vegan and am not entirely enamored with zoos being the ‘new habitat’ for the wild) at reading about it, not just for the gorilla — who was innocent!! — but for the parent of the child who is likely to get a lifetime of a verbal beating from her judgemental OWN human tribe. I had to stop myself from being one of those parents. Many times I took my eyes off the child/stroller for just a split-second and ‘lost him/her.’ I am not free from guilt; I’ve been there too, though none of my ordeals ended with a dead or permanently injured child (thankfully) or a murdered, innocent other. The zoo had NO CHOICE in the matter. I’ll be the child’s mother will be kissing her son’s head every day, several times a day, for the rest of her life. She had a really close call. Again, great post, and thank you for the candor and words to say what the rest of us could (perhaps should) not.